New Hair option courtesy of NeKenya of PR at Partners in Mazza Gallerie, Music from DJ Neekola, the awesome new trench poncho (from Babe boutique) that I found for fall and the awesome silent auction!! On September 11th, I went to the Annaul District Sample Sale. The press on the website states that “The District Sample Sale is the Washington region’s biggest and best high-end bargain shopping event. The DSS features over 20 top designer clothing and shoe boutiques selling their end-of-season wares at liquidation-level prices, with many previewing their upcoming season looks at DSS-exclusive pricing. 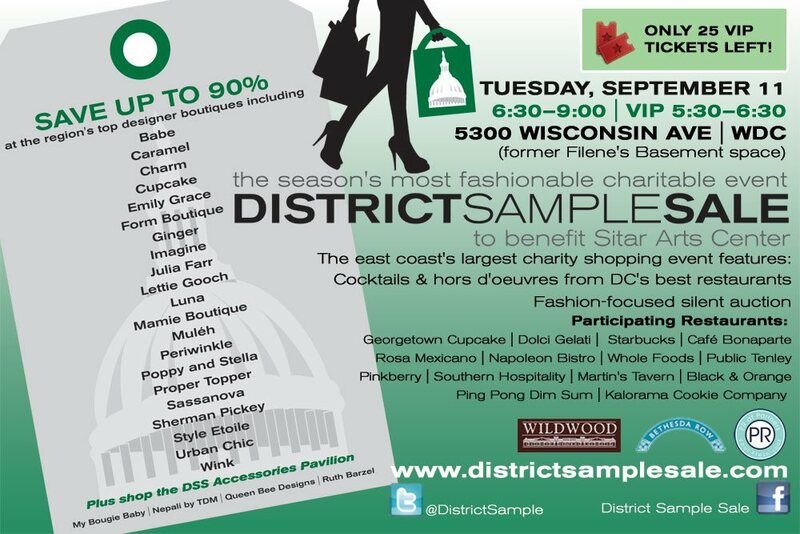 The District Sample Sale also features cocktails, hors d’oeuvres from our participating restaurants, a fashion-focused silent auction, raffle, goodie bag (with VIP tickets) and more. Best of all, we’re an all-volunteer organization with 100% of our profits donated to our chosen charity and legacy charities each season. Over $266,000 has been donated to our charities since 2006.” This year it took place in the former Filene’s Basement space in Mazza Gallerie which was a great idea because it is the perfect space for an event like this. They did a great job of using the space which they had plenty of! I bought my VIP ticket a couple months ago and was really looking forward to it because I had heard so many great things!! “The east coast’s largest charity shopping event” is a pretty big selling point!! The cocktails and hors d’oeuvres were a pretty big draw as well lol. I arrived a little after 5:30 and was pretty much able to go right in which is nice. The one good thing I did find about VIP was that I had very little wait time and getting in early allows for a more relaxed shopping and browsing experience with a smaller crowd which was nice. The layout was pretty well done with the food and services around the edge and the clothes mainly in the center. Some of my favorites were definitely Georgetown cupcakes (mainly cause I’m a cupcakeaholic), Black & Orange and Ping Pong Dim Sum who were all were there with some delicious samples!!! 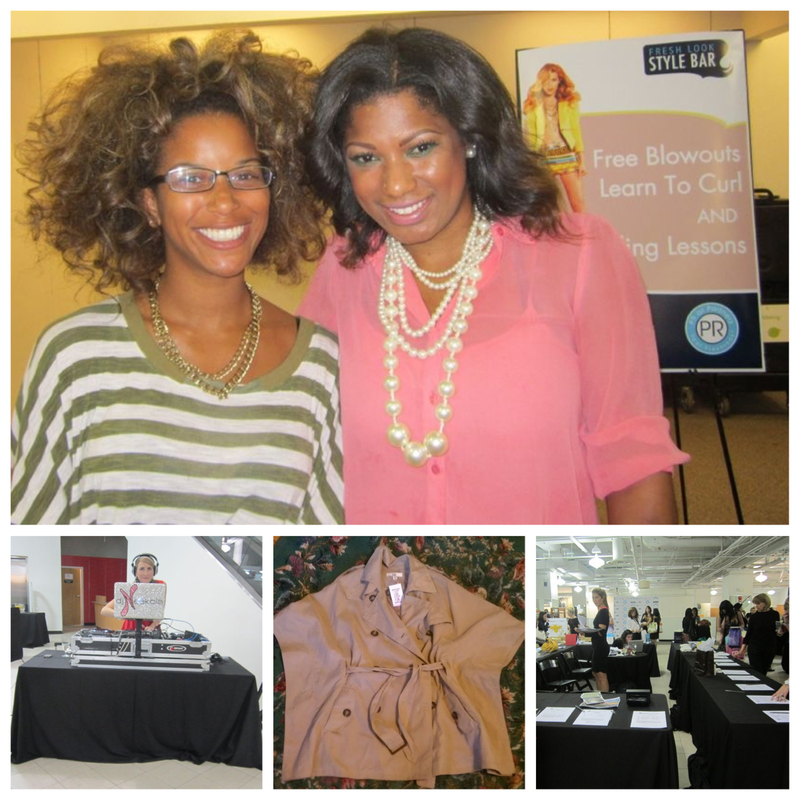 There were quite a few different boutiques present and ready with a variety of clothes to browse through. A recommendation for all the boutiques next year would be to invest in the pop up dressing room that a few of them had. I had a few exhibition moments while I was there trying to change in behind the 3 panel screens that did not really hide screen anything lol. Also while I did find some great stuff, I was a little disappointed with the some of the prices. I know they say up to 90% off but most of the fall items were about 20% off and the sale items were on average about 50%. I mean I love any kind of sale but I was expecting some better deals than what I found. Don’t get me wrong, this is definitely a must attend event if you are a fashion lover however I don’t know if I got what I was hoping for from my first time. Since this was my first year however, I am now better prepared for the spring sale!! Also considering that this was for a good cause (to benefit the Sitar Arts Center), I don’t regret spending the money!! Plus they had a pretty awesome goodie bag filled with snacks and certificates from the various sponsors and participators which was really nice!! Overall it was a great event and I am already looking forward to the spring! !